The sales process is complicated and among other things, sales managers must constantly be checking in on their sales process, looking for ways to optimize and accelerate sales productivity. In order to make improvements to the sales process, it's imperative that you understand the state of your current process. Additionally, knowing industry and technology trends used to advance sales productivity helps to understand what could be improved. These insights can help answer common questions for sales managers, like where does your sales process slow down, which proposals are winning, and which are losing, and what other methodologies are working or not? The latest SpringCM study revealed that the contract process is the longest part of the sales cycle. Think about this: The configure, price, quote (CPQ) process can take about a week, and the signature stage can just take a matter of hours, as long as you use an electronic signature. Since the contract process often lasts over a month, sales managers can make the biggest difference in shortening the sales process by directly addressing the contract process. Some sales managers believe that digging up more leads can ultimately drive more revenue. Even if a sales rep packed their pipeline with leads, they still need to usher those deals through the drawn-out contract process. Again, by accelerating the contract process, you can close deals faster, then make room for more deals. By addressing the contract process, some businesses have cut their contract process down from three weeks to three days. It’s critical that your sales team minimizes the number of tools they use during the sales cycle. According to the American Psychological Association, switching back and forth between tools can cost you up to 40 percent in productivity. A customer relationship manager (CRM), like Salesforce, can keep your sales team on the same platform but also allow your team to evolve its process, adding applications (i.e. contract management software) that integrate with the CRM to help accelerate the process further. It’s not uncommon for sales managers to hear their reps ask, “where’s the contract?” Salespeople can have multiple contracts in motion and it can be difficult to keep track of each deal without the right tools. If there is not an organized system for storing contracts (before and after signature), sales reps can waste a lot of time sorting through shared drives, desktops and emails just to find the right contract. Contracts should be kept in a secure cloud repository that keeps one contract in one place. Within that central repository, you should leverage metadata tags and attributes that makes each contract searchable through keywords. Mistakes or miscommunication caused by human error will happen in the contract process, but sales managers can make it possible to not only quickly rectify those mistakes but learn from them and improve the sales process moving forward. If a contract is missing a signature, or signed by the wrong person, the sales rep then needs to go back and find out where the contact made a wrong turn. Using contract management software, a sales rep can track where the contract has been, or in this case, where the contract hasn’t been. This makes it easier (and faster) to identify the missing signature and send the contract to the correct signer. Reach quota is an ongoing issue for salespeople, as well as a source of stress and discouragement. Why is it so difficult to reach quota? It’s because salespeople easily get caught up in tasks that do not involve directly selling to the customer. Another study shows that only a third of sales reps spend their time actually selling. Over 70 percent of their time is spent on administrative tasks, like data entry, keeping them away from the customer. Automating the contract process can eliminate extra steps and help sales reps keep their focus on selling the customer. However, many businesses are not leveraging automation. A SpringCM study revealed that about 75 percent do not have an automated contract process. Automation can do things like generate a contract by merging customer data from a CRM or CPQ tool, route the contract to the person responsible for the next action, and notify people when it’s their turn to take action on a contract. If you can help your sales team reach quota, you can boost morale and continue to set the bar higher. Technology is already being leveraged to make life easier for salespeople. Whether it’s something as simple as an electronic signature, or a contract management solution that integrates with their CRM, these tools eliminate repetitive steps and allow Sales to do its job faster. Consider technology as a great way to boost Sales’ confidence. Also consider this statistic; high-performing sales teams are also 8 times more likely to be heavy tech adopters than underperformers. As a sales manager, you should not only be looking for ways to accelerate the sales process but also make it repeatable, allowing sales teams to better forecast incoming revenue from contracts. This can’t be done without end-to-end visibility into the contract process, which allows sales teams to identify where bottlenecks occur, so the issues can be addressed. Optimizing your contract process is critical to establishing a process that is repeatable. Another stat to support this; 39 percent of sales professionals said transparency would also help sales teams reach quota. 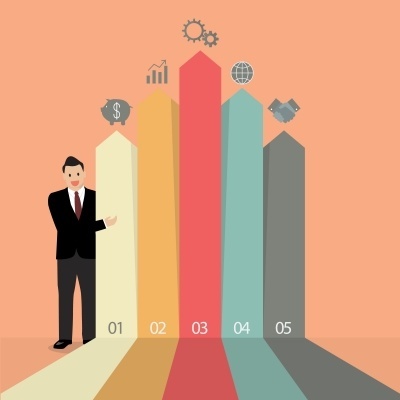 Sales managers are in a unique position; managing a sales team, while providing analytics and status to executives in regards to current and projected revenue. Full visibility into the contract process will not only help you track the productivity of your sales process, it provides executives with a full picture of the process, arming sales managers with dashboards into current and future revenue. These ten statistics offer an accurate snapshot of today’s selling landscape, and offers sales managers insights into optimizing their sales process and driving sales productivity. Businesses are leveraging contract management software to accelerate their sales process while generating more revenue. Download our latest eBook, The Real Secret to Revenue Generation, to learn more about how contract management software can boost revenue by up 5 percent.